We’re happy to be back at the Evergreen Brick Works for our annual Canada Day event, Lester P. Beerson Day. This time around we’re welcoming returning and new friends: Great Lakes Brewery, Henderson Brewing, Pitschfork Brewing, Durham, Railway City Brewing and Brimstone Brewing! We’ll also be welcoming back our old friends Kanga Meat Pies, Food Dudes, Urban Carnivore, Fidel Gastro’s and The Pop Stand. 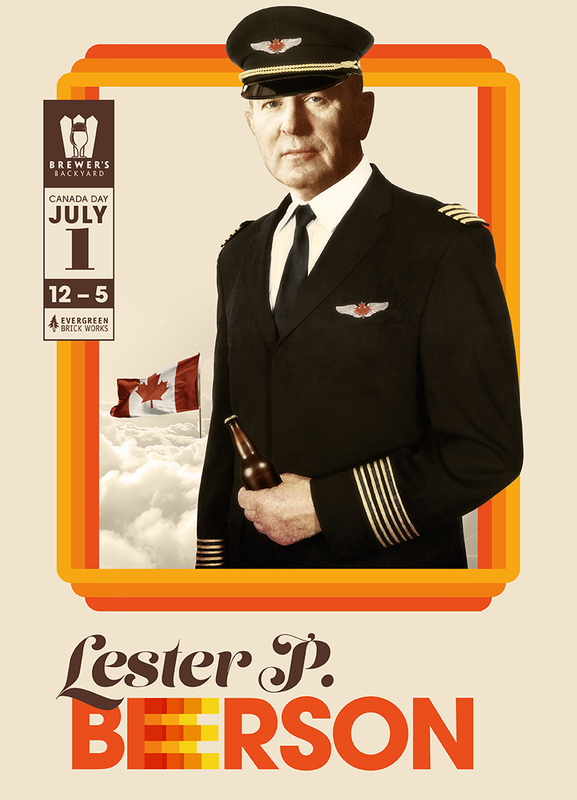 Lester P. Beerson Day runs from 12pm-5pm on Friday, July 1st at the Koerner Gardens and CRH Gallery areas of the Evergreen Brick Works. Admission is free and you will be able to buy food and beer at the event. We are an all-ages and family-friendly event. Please note that our last beer sales is at 4:30pm and last beer poured is at 4:45pm. Please note that for the summer the Evergreen shuttle bus pickup and drop off has relocated to Chester Station. The TTC Bayview South bus from Davisville Station runs seven days a week. Want to be a part of the Brewer’s Backyard team? We’re on the lookout for volunteers for our Canada Day event. If you’re interested in helping out (there’s free beer in it for you! ), please email us at info@brewersbackyard.com.